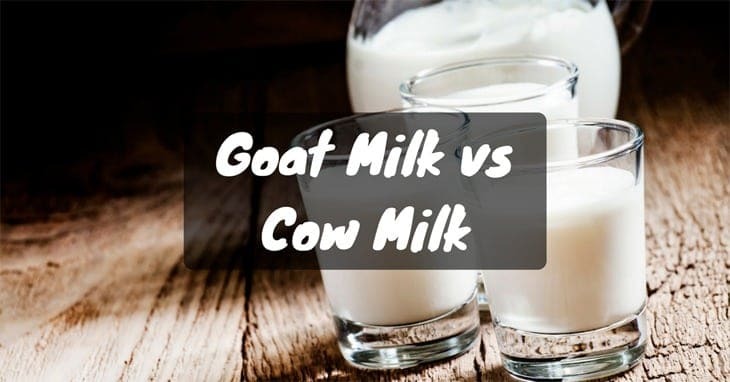 Goat Milk vs Cow Milk – Who’s the Winner in This Lactose Face-Off? No day is complete without any dairy. That much is true when looking at the kitchen and pantry of most households. In particular, milk. Your ten fingers will not be enough to count the number of dishes that require milk. Case in point, whether making lasagna casseroles, a classic mac, and cheese, some creamy soup or a tasty caramel cake, you need a dose of milk. In addition to being a focal point ingredient of numerous dishes, milk is a classic breakfast staple. No cereal is complete without the addition of milk. Aside from all of these, let us not forget that milk is also a classic drink. Whether drank alone or enjoyed withsome Oreos, milk is certainly well-used. 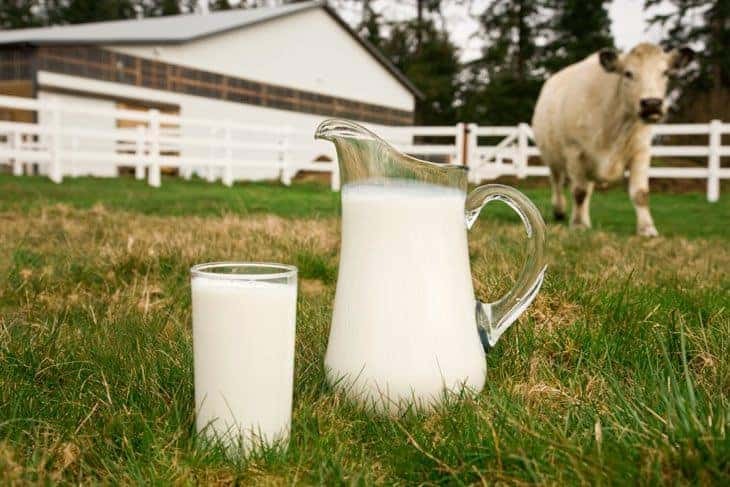 However, milk as a dairy can come from different farm dairy animals. Some of these animals are cow and goat. This can make one confused on what the difference is between the two and which one is the better. So in the battle of goat milk vs cow milk, allow me to reveal the winner. Let’s get the basic description out of the way first. As a milk, in terms of components and contents, both goat milk and milk pretty much have more similarities than differences. 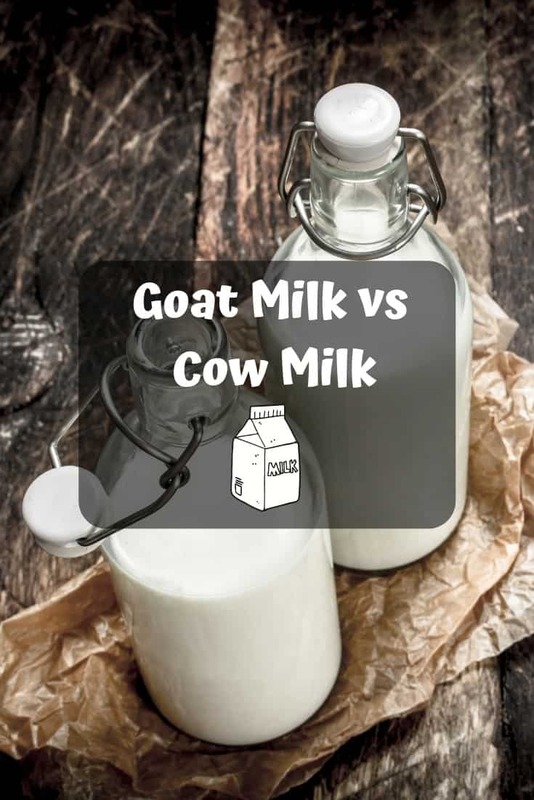 Not just between goat and cow but also among all other kinds of milk, they all contain some water, of course, lactose, micronutrients and last but certainly not the least, protein. Where they differ is actually in the properties. Goat milk contains several unique properties that make it the healthier option and choice between the two. Goat milk comes and contains elements that are far easier for your bodies compared to the ingredients found in cow milk. However, cow milk is still often the source of milk for numerous Westerners. Despite this, there are already a couple of health-conscious consumers that have caught on the hype and have started using goat milk. Ah, perhaps one of the essential nutrition that milk gives. Protein is usually what consumers are after for the most when drinking milk. This is most especially true for those that are bodybuilders or those who frequently drop by the gym. In general, the protein you can find in milk is actually just relative contents of microproteins. These microproteins consist of different types but one particular microprotein is the one you have to keep in mind. This microprotein is the Alpha S1 Casein. So what makes this Alpha S1 Casein special? For starters, this microprotein is the one with the ability that can tell you what the structure of the curd found in a particular milk is going to be like. The reason why this is crucial is that these are all going to end up inside your stomach. Just like how the sources are different, the structure and formation of the curd may differ as well depending on the milk’s content of the Alpha S1 Casein. As for the cow and goat’s content of Alpha S1 Casein, goat’s Alpha S1 Casein is relatively lower than that of the cow. In fact, it can even go as far as 50% lower. This pretty much means that your curds with goat milk are a whole lot smaller and softer. This means it is much easier to break down and is, therefore, easier to digest. In addition, there is also another essential microprotein you might want to keep in mind. This microprotein is the beta-lactoglobulin. So, now what is special about this? Well, this protein is one of the easiest kind to digest. As such, goat milk has a lot of these — about three times more than cow milk. Protein down; fat, here we go. 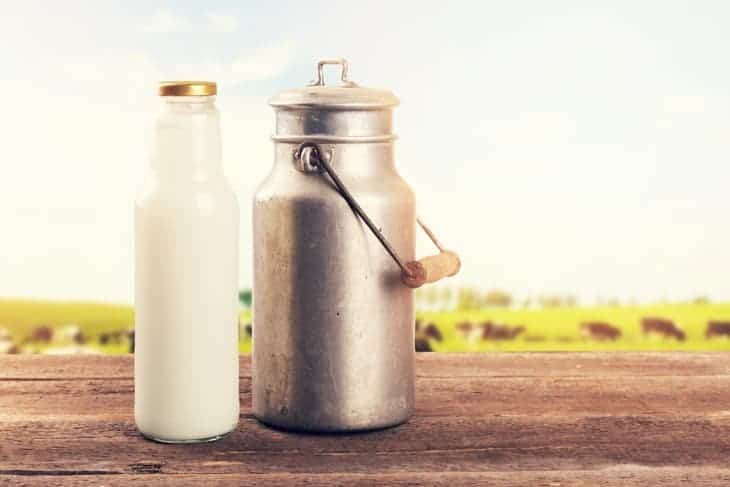 When it comes to goat milk, its content of fat globules are much little in quantity and comes with a bigger area of the surface as compared to the ones found in goat milk. With that being said, goat milk becomes way more compatible with your pancreatic lipase which is the enzyme responsible for digesting your fats since smaller fat globules are easier to work with. As for the healthy fats, goat milk contains a bigger value of the essential fatty acids which are the omega 3 and omega 6. In addition to this, goat milk is also rich with short and medium chains such as triglyceride which makes for an efficient and fast digestion. Both types of milk are very high in levels of vitamins and minerals. However certain vitamins and minerals are bigger in quantity in a certain milk. 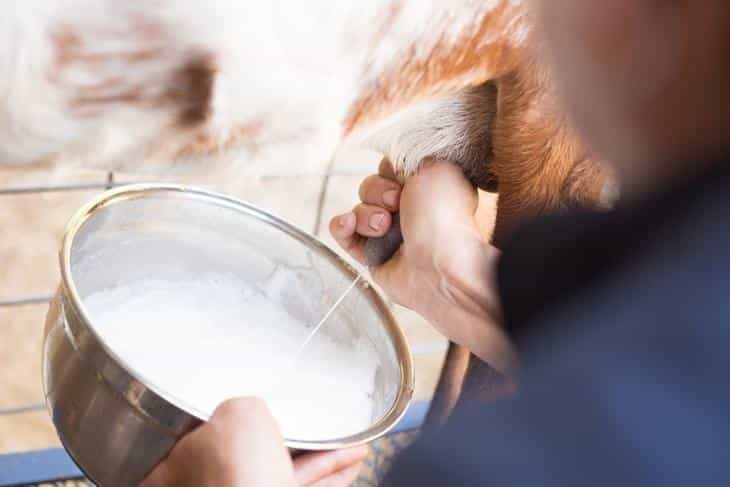 As an example, if you happen to spot the vitamins D and A as well as the minerals of Selenium or Calcium, you will find that these are being offered much greater in goat milk. Meanwhile, with cow milk, vitamin B12 and folic acid are offered in big quantities. However, studies have revealed that with the use of goat milk, your body can absorb a bigger amount and quantity of minerals. In conclusion, in the face-off between goat milk and cow milk, goat milk has certainly come out on top. With the content of medium fatty chains, more essential fatty acids and numerous other properties that make it easy to digest has definitely made goat milk the better choice between this two. If you so happen to be very conscious of the food you eat, the goat cheese could be the better choice for you. However, it is essential to keep in mind that both types of milk are healthy. It is just that goat milk comes with more benefits for your health. With goat milk, you get a bigger and better bargain. There you have it, folks! I hope you enjoyed this article. Should you have any other suggestions, comments or suggestions, please do not hesitate to leave them down below. I’ll see you in the next article!